Perhaps you have misplaced your Volvo car keys and need them to be replaced by a new set? You will not need to go through a whole lot of difficulties to replace the car key using our expert services. Contact AZ Car Keys now to get Volvo car key replacement solutions from the best. Car keys are by far the most significant parts of a typical car. They prevent unauthorized entries into cars and may also restrict the movements of people and goods within the various parts of the car. Each car manufacturer accompanies its cars with a set of unique keys. Owing to the intricate nature of car keys it is of utmost necessity to understand and familiarize oneself with the various types of car keys. 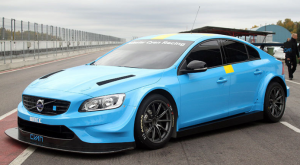 In the following discussions, the various types of Volvo car keys are going to be discussed in details. Also called “switchblade” or “flip” or “chip” keys, these Volvo car keys comprise a computer micro-chip that is electronically coded and implanted in a plastic body. The code which is implanted in the microchip detects the car keys when inserted into the ignition. The code has to be matched to allow it to start the car engine. These car keys are pretty effective in preventing fraud and also secure the car’s ignition system by virtue of being too difficult and almost impossible to duplicate. These Volvo car keys may be used to open and close the cars, lock and unlock the car doors, and turn the car alarms on and off without having to be in direct physical contact with the car itself. They are a standard part of all the Volvo car models. They employ infra red or radio transmitters to relay coded messages of varying frequencies to receivers that are fitted onto the car. These car keys are battery-powered and may thus fail to work whenever the batteries are flat. 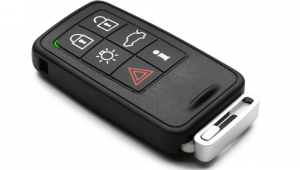 This type of Volvo car keys operate in almost the same principle as the transponder keys, the only difference being that it sends a new code each time the key is used as opposed to the fixed code of the transponder key. It is therefore more burglar-proof due to the fact that they are difficult to duplicate or replace. It is however more expensive to replace and is hence ordinarily out of the reach of many a would-be user. The Volvo master key is not meant for everyday normal use in cars. It is primarily intended as a backup key that is used to program replacement keys in situations where the ordinary car keys are missing. This type of key is currently being phased out and their roles are increasingly being taken over by car dealers who have central databases for storing the relevant car key reprogramming information. These are optional keys that are available for certain models/trim levels of Volvo cars. They are capable of starting the ignition and opening the driver’s side door, but prevent further access to the valuables which may be located in the trunk or the glove box. Some versions, especially those intended for high-performance vehicles, can even restrict the engine’s power output to prevent unauthorized rides. This type of Volvo car key bears similar attributes and operational principle as the remote control/keyless units described above. However, unlike the ordinary remote controls, it does have a fairly longer range and may be used across several digital platforms such as the smart phones. It may, in addition to opening, closing, locking, and unlocking the car doors, also start the cars from a remote location. They are safer, much more intelligent, and more complicated than all of the other Volvo car keys. It is necessary to note that car manufacture is a rapidly evolving field so much so that new cars keep being produced every quite often, and that a fairly sophisticated car today may in fact be rendered obsolete in a few years time. This automatically means that brand new types of car keys in general keep being produced and supplied in the market year in year out. Consequently, the long term authenticity of the list of the various types of Volvo car keys as discussed above may not be guaranteed. It is thus incumbent upon the prospective owner of a Volvo car to conduct thorough due diligence of the most sophisticated Volvo car key that is available at the moment before making a purchase. Call AZ Car Keys Today For Volvo Replacement Car Keys!! We service the entire valley and we come to you. YES! This is a mobile service. Our locksmiths have been trained to handle almost every car key ever made. AZ Car Keys makes replacing a lost key simple, painless and cost effective. My wife went for a jog the other morning and for some reason took her car key with her. Well, needless to say she came back without it. So before calling the dealership, I thought I'd give something else a try. Called these guys up and they'll now be the only company I use when needing car keys replaced. They were fast, efficient and very affordable. Call Now For Car Key Services In The Phoenix, AZ Area! © 2016 AZ Car Keys. All rights reserved.